Decorating a small bedroom can be very challenging, but with a few key decorating tricks, you’ll be able to pull it off in style! 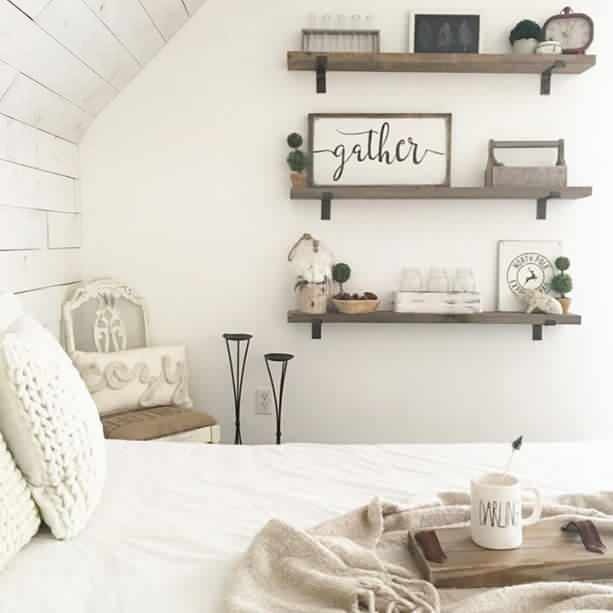 Decorating a small bedroom isn’t about fitting all sorts of unnecessary things in it such as a reading nook, an office, or a boudoir area, it is all about keeping things simple and relaxing to take advantage of fact that smaller bedrooms make for better sleep! This is backed by science! As for achieving a stylish small bedroom, here are our tricks! A relaxing bedroom is free from visual clutter. You can easily achieve this by sticking to a color palette or having lots of storage such as built-ins and under the bed storage. Make it a rule to keep things that are not for immediate use out of sight. White or light-hued bedrooms make the space look so much larger, but a one-colour fits all approach can be a bit boring. Layering light colours ought to give you visual interest while still keeping things cohesive enough to mesh together. If you have higher ceilings, take advantage of that and expand the size of your small bedroom by opting for a loft bed. For regular-height ceilings, consider adding floor to ceiling storage instead. By not centering your bed in a small bedroom, you’ll be able to free up so much floor space plus create a cozier sleeping area. Consider a two headboard corner system to avoid a college dorm feel. Mirrors are great for creating an illusion of having a much larger space. It also reflects light so it can make a small bedroom feel lighter and airier. A full length mirror is great but you can make it better by installing an accent wall mirror that takes up an entire wall. Beds with drawers or even beds that have hidden compartments inside are great for small bedrooms. A regular bed can work too by using the space under it to store seasonal things in pull-out bins that you can easily access. Floating shelves can be made in different sizes and finishes to serve as a nightstand, a table, a bookcase, or a desk. You can even have them made in such a way that they lay flat against the wall when not in use. Extra space saver! Bed frames add a few inches of length and width to beds, precious inches that count a lot when decorating a small bedroom. Instead of a bed frame, a headboard would be a lot better. Have this write-up made you realize that choosing a home with small bedrooms isn’t bad at all? Are you now forward to decorating the bedrooms in your own Oakville home? Contact us and we might be able to help you get the home of your dreams in Oakville!